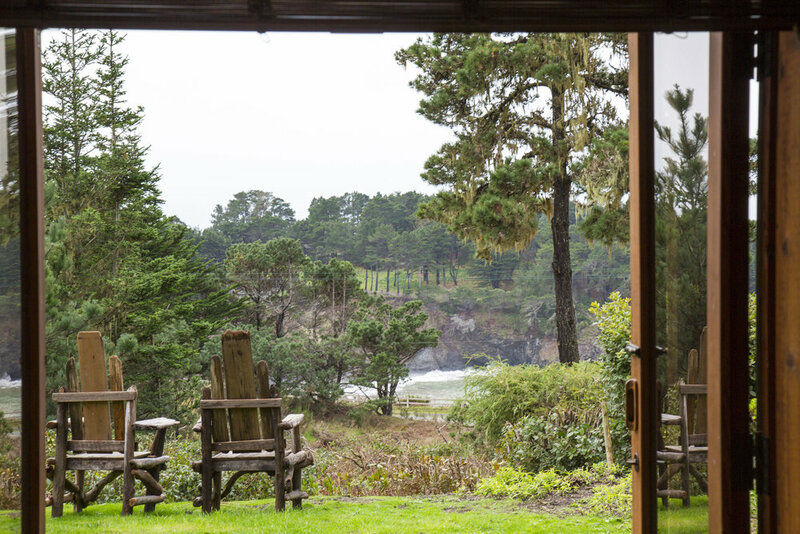 French doors lead to a private deck that frames a coastal view out over Smuggler’s Cove. Inside, a relaxing queen bed, leather club chairs, a writing desk and a large, mirrored closet provide a restful 240 square foot retreat from the outside world. 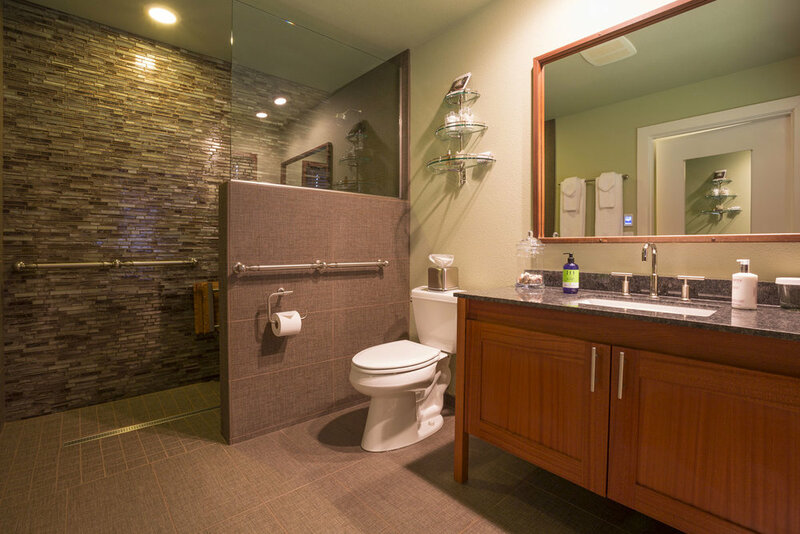 A spacious roll-in bathroom and a stall shower with a seat make this room ideal for guests with limited mobility.